Mrs. John W. Cristner, Dallas, Texas; Christie's, New York, 30 November -1 December, 1979, lot 220. The mark of a loosely drawn X with dots at the intersections has only recently been ascribed to Philippe Xhrouet père, active 1750-1775. 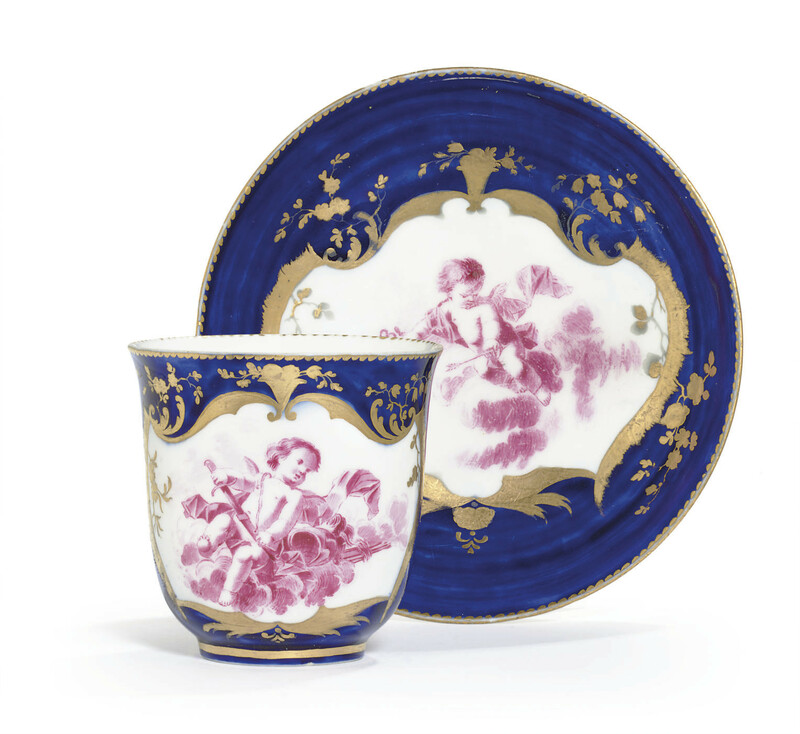 Throughout his twenty-five year career at Sèvres, he turned his hands to all sorts of decoration - figures, flowers, patterns, birds and even landscapes. The variation of the mark as found on the present cup and saucer is that usually found on pieces with figure painting.